He told the Hawaii Tribune-Herald newspaper. "Basically, we essentially have a group who are heavily addicted - in my view, enslaved by a ridiculously bad industry. "It has enslaved them by designing a cigarette that is highly addictive, knowing that it highly lethal. And, it is." Under current laws, people in Hawaii must be 21 years old to buy cigarettes. Creagan is proposing raising the cigarette-buying age to 30 by next year, 40 in 2021, 50 in 2022 and 60 in 2023. By 2024, the minimum age would be 100. Smoking can affect lungs bally. Coughs, colds, wheezing and asthma are just the start. 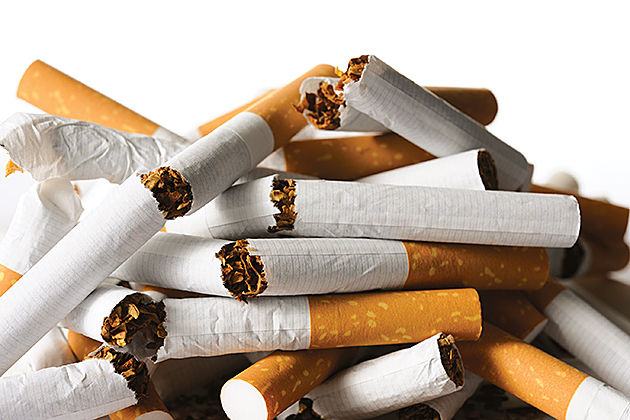 Smoking can cause fatal diseases such as pneumonia, emphysema and lung cancer.